January 25th, 2018: Even 25 years later, it’s easy to remember “where it all began.” I was always a competitive kid. Like, overly competitive... I even remember cheating in Candy Land against my mom as a four-year-old because I wanted to win so badly (I do not condone cheating, by the way, ever!). In elementary school, when all the other little girls were playing quietly on the swing sets, or hopscotch or jumprope, I wandered away to where the boys were. There, past the basketball courts and playground, I saw it: a huge open grass field, the biggest one I'd ever seen. There were goals on the both ends, seperated by what seemed like a mile. Why was it so big? There was a baseball diamond just beyond it that I recognized, but this other sport? I had no idea. “I want to play soccer.” And that was that. 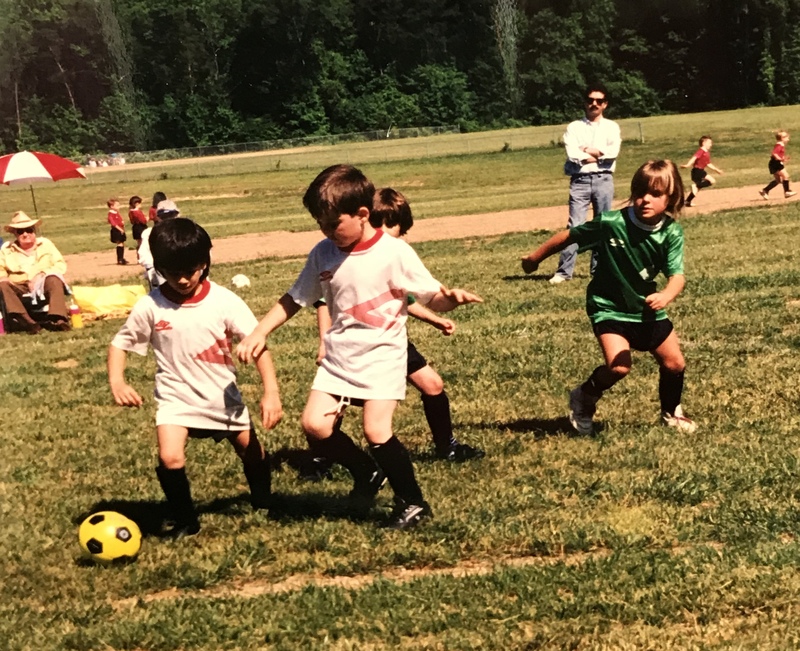 My parents signed me up that night for the Green Hornets, and I took to my new sport quickly (I'm that little bruiser on the right side). It's been a long, bumpy, beautiful road, and now that I am working for Liverpool FC International Academy, I have a platform on which to share the story. Over the next several months, I hope to tell you my entire story, starting with youth soccer, and bringing you up to date to where I am now. I am less than a week away from moving to Uppsala, Sweden, where I have signed a professional football contract (yes, yes, that is soccer to us Americans), to play for IK Uppsala. We compete in the Elitettan, which is the second tier of professional football in the country, under the Damallsvenskan - LFC Ladies... I'm free in November... waitin' on you! My bags are not packed, my living situation has just this week been sorted, and I am not entirely sure what to expect. But, that is part of the journey. It always has been, and always will be, painful, exciting, and terrifying, but it is mine, so I will do my best to share it with you, openly and honestly.